Instagram is full of stunningly-beautiful images of paradises all over the world, making you wish you were on holiday rather than at your desk eating your packed-lunch; major holiday-envy. 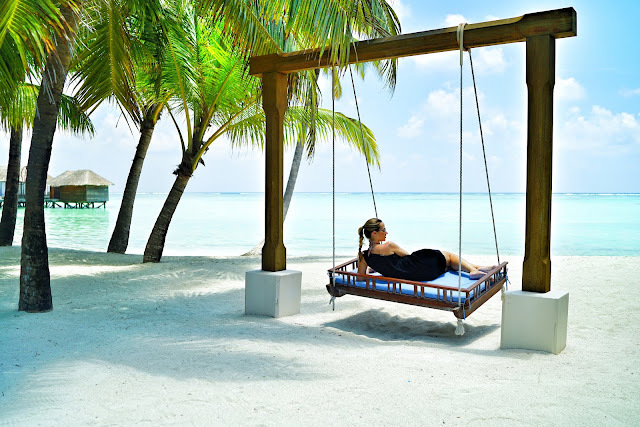 The Maldives is a particular holiday destination which many of us lust over, with the bright blue seas, white sand-beaches and shining sun looking like the ultimate relaxing wonderland. With travel-bloggers are popular on Instagram, it's clear that photography of beautiful places across the world is what people really love to see, and while on holiday, many like to share some snaps of where they visit, regardless of whether they're a travel-blogger or not. It's safe to say that Instagram-culture is well and truly upon us, and to cater for our social-media addictions, a luxury resort in the Maldives has introduced an unusual - but sure-to-be-popular - service. Conrad Maldives Rangali Island Resort now offers 'Instagram Butlers' as part of their Instagram Trail experience, to help you get the most beautiful, like-worthy holiday snaps to truly impress your followers. The trails take holidaymakers to the most picturesque locations in the resort, with a dedicated 'Instagram Butler', who's tech-savvy and clued up on how to take a great photograph for social media. Conrad Hotels & Resorts' press release announcing the new trails describes how the service can take visitors "from hidden spots set on the farthest tip on Rangali Island complete with technicolour sunsets to swinging on an Undholi (a traditional Maldivian swing) whilst gazing out over the Indian Ocean, to a fish-eye view from under the ocean in the world's first all-glass undersea restaurant Ithaa." The trails, while allowing you to explore the most idyllic and Instagrammable settings, are also there to teach you how to capture the best photos, so you can take them yourself next time and on future holidays. The resort also offers the option of "tee[ing] up their tour with a yoga class directed by the resort's resident yogi where they will be taught the best poses to capture on camera set against a myriad of ocean hues." So, if you're looking to fill your feed with beautiful photos of you in the bright blue ocean, just head to the Maldives and get yourself an Instagram Butler; luxury, relaxation and top-notch photography skills.